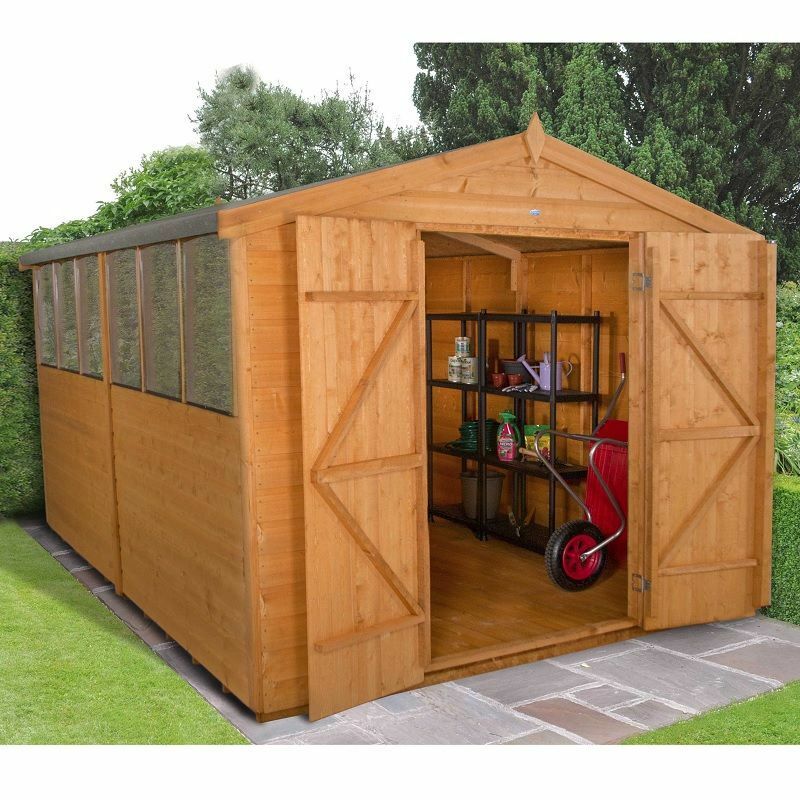 This heavy duty Shiplap Dip Treated Double Door Apex Workshop - 12x8 from Forest gives you plenty of space to store away garden equipment and the double doors allow easy access while carrying larger items. As well as offering room for storage, there is plenty of space for use as a workshop with shelving and workbench. The six fixed windows allow plenty of light in, making this building perfect for use as a workshop. 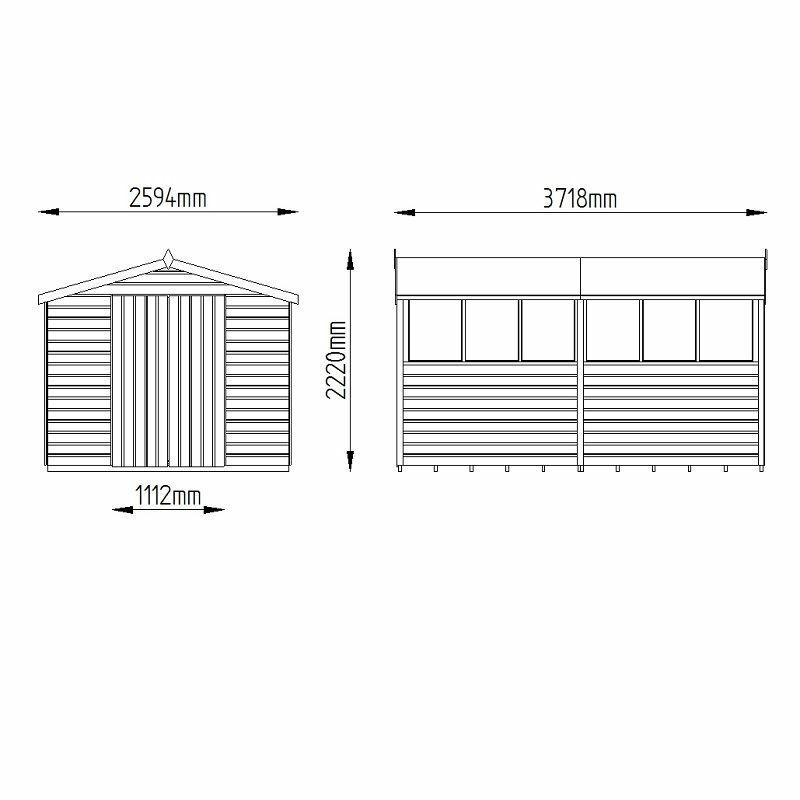 An attractive smooth planed finial and barge boards finish the look of this shed. 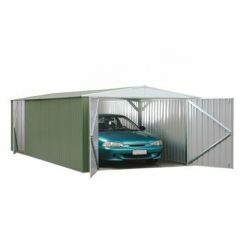 It has a high quality shiplap tongue and groove construction made with watertight interlocking smooth planed boards and a mineral felted roof constructed from durable sheet material. 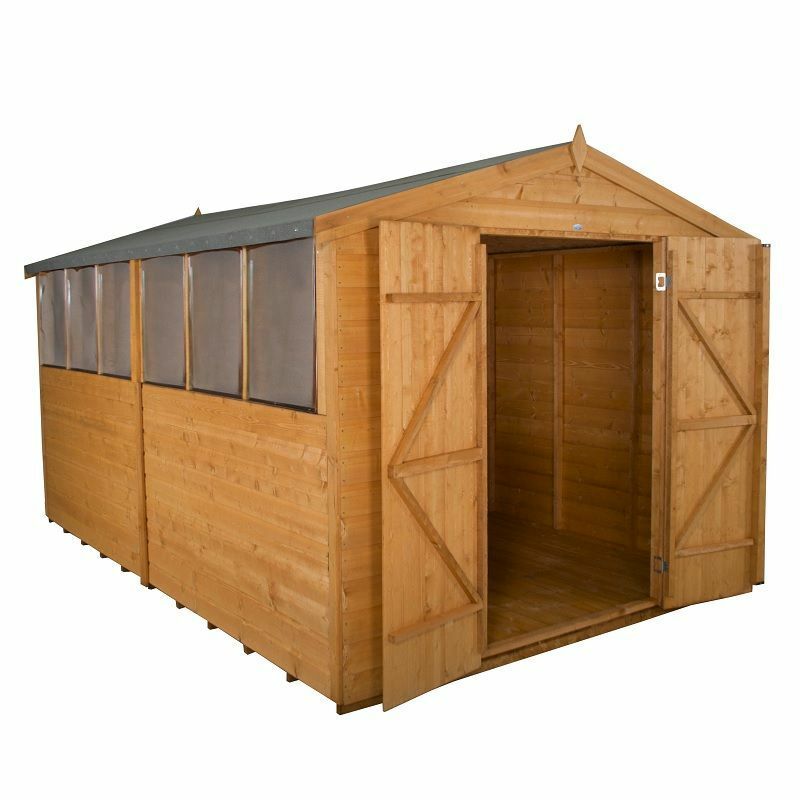 Having been dip treated, this shed is guaranteed against rot and fungal damage for at least 10 years, providing you retreat it with a shed preservative annually and it is isolated from ground contact. The door has been braced with strong double “Z” framing and has safe and secure hidden hinges. The six windows are glazed with unbreakable polycarbonate that is secured with security screws that can’t be unscrewed. The door can be secured with a hasp and staple latch.